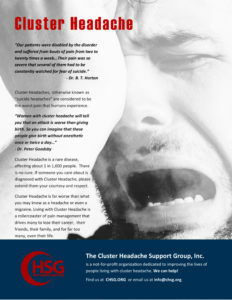 It has been suggested that histamine plays an important role in the pathogenesis of cluster headache. In addition, both neurogenic and vascular components have been described during cluster headache attacks without an obvious anatomical link between them. Our ultrastructural observations of human temporal arteries from cluster headache patients and their comparison to those from a control group strongly suggest that mast cells may be this link.